Do you love the smell of cinnamon? 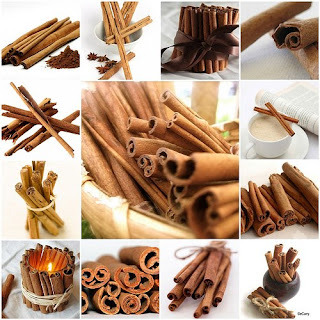 Did you know that cinnamon may be an aphrodisiac? Yes, that is why this would be a particularly fitting scent for Valentine's Day, ladies. If you don't believe me, go to Wikepedia and look up uses for cinnamon. It states, "Cinnamon may also be an aphrodisiac." Nickell, Nancy L. (1998). "Nature's Aphrodisiacs". Crossing Press. Retrieved 2010-01-03. I know, some of ya'll out there need nothing of the sort. In fact, you need something to calm you down. But for those of us who wouldn't mind a little pick-me-up, well....here ya go! Go to my Giveaway page and enter! It's low-comment, since this is sponsored by me, so yer odds are gonna be good!